St. Pete College is helping spread awareness about Florida's affordable health insurance program for kids. 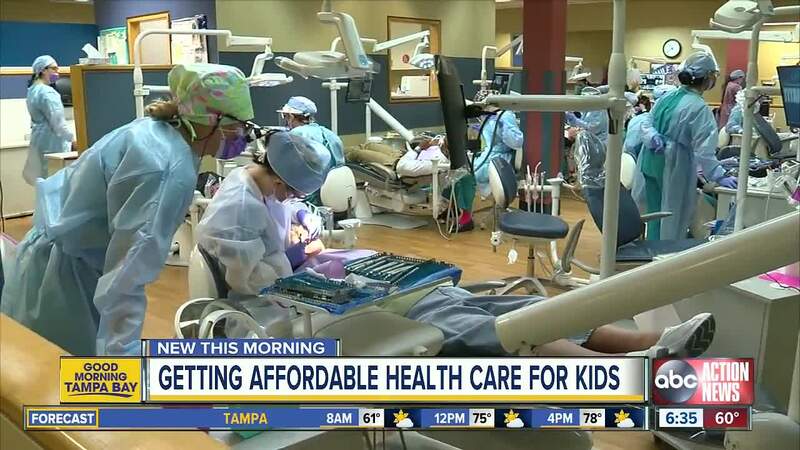 PINELLAS COUNTY, Fla. — St. Petersburg College is partnering with Florida KidCare to help spread awareness about the state's affordable health insurance program for children. More than 147,000 kids in Florida currently don't have health insurance coverage. Through a $15,000 grant, St. Pete College wants parents to know that there are four programs that could help your child. "Even in our local areas, families face a huge challenge to get dental and medical insurance," says Amy Krueger, Dental Hygience Academic Chair at SPC. "It's quite costly to buy it out of personal pocket. " The application process is free. Most families pay below $20 a month for Florida KidCare coverage which covers dental visits, emergencies and mental health services. You can find out more information about Florida Kidcare options and how to apply by clicking here .